When I transitioned from a full-time job to being self-employed, one of the biggest hurdles I faced was finding low-cost health insurance. Finding affordable dental insurance proved to be even more difficult. First, I couldn’t find any dental insurance with benefits comparable to what I was getting from my full-time job. 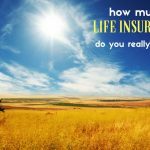 Second, even insurance with very basic coverage cost over a thousand dollars per year for two people. Reading the fine print, I discovered that benefits were capped at a thousand dollars! Why would I want such a product? 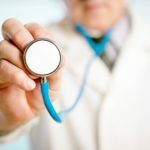 I decided to dig deeper to see how I could find affordable dental insurance and make dental care cheaper. Here is what I found. Have a warehouse club membership? Check their benefits: When I lived in California, I had an option of purchasing dental insurance via Costco. At this time, they only offer this benefit to residents of California. Sams Club doesn’t seem to offer dental insurance, but they have a dental plan that offers a significant discount if you use one of the covered dentists. Check the new health care marketplace: Dental insurance is not mandatory, so it is not offered by all the states’ marketplaces. Among the states that offer dental insurance, some include it as part of health insurance and some offer it as a standalone product. Work part time for benefits: If I want the best coverage for a reasonable cost, unfortunately, this is the best option. A lot of companies offer insurance benefits for part-time employees. Even if they don’t pay the premium, the group discount alone could save you a lot. Get the procedures done at a dental school: If you don’t mind being treated by students — they will be supervised — you can use dental schools that offer free or discounted care to the public. You can use the American Dental Association site to find a school close to you. 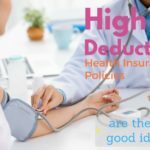 Don’t miss the health insurance deduction if you are self-employed: This is not a way to get cheaper dental insurance; but deducting the premium you pay for yourself and your family from your income will save money in taxes, essentially making the insurance itself a little cheaper. Have you ever bought dental insurance on the open market? What kind of plan did you purchase? How did you find an affordable option? Thanks for the advice. Dental procedures can be really pricey, so it helps to know about how I can save money on insurance without paying more out of pocket for procedures. I didn’t know that I can negotiate the cost of the procedure with the dentist if my insurance won’t pay for it. It’s good to know that the price for procedures isn’t always the final price. It’s also good to know about special programs that will allow me to pay less on dental insurance. Get a second opinion if a dentist claims you need an expensive or otherwise potentially long term damaging treatment. Dentists will do very questionable things (like destroy two good teeth for a bridge over a missing tooth). Finding a reputable dentist that has been in the same office for a very long time is much preferable to the “offices” with high turnovers. I never bought dental insurance because I only go to the dentist once a year for dental cleaning. It costs about $80 in NY. I’m 35, so maybe I’ll need to consider getting it when I’m older.